Over the years, K'NEX have developed three distinct approaches to roller coasters. ♦ The original approach used split tubing track attached to classic K'NEX connectors, with a coaster car built from K'NEX. ♦ The second approach used split tubing track attached to classic K'NEX connectors with a specially-built coaster car. 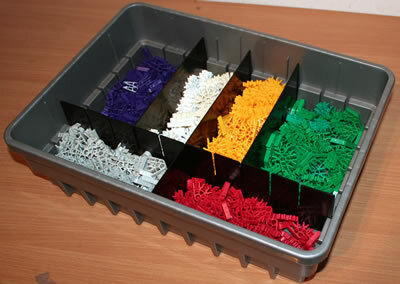 ♦ The latest approach uses plastic track attached to Micro K'NEX connectors, with a purpose-built coaster car. All three types of Roller coaster work very well. We include a Handy Hint for each type below. 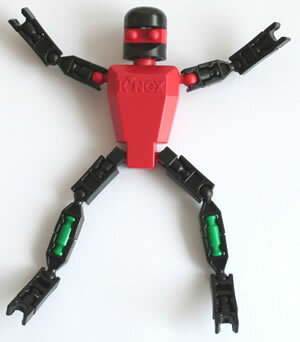 Please also note that many of the special roller coaster parts are available in our K'NEX shop. 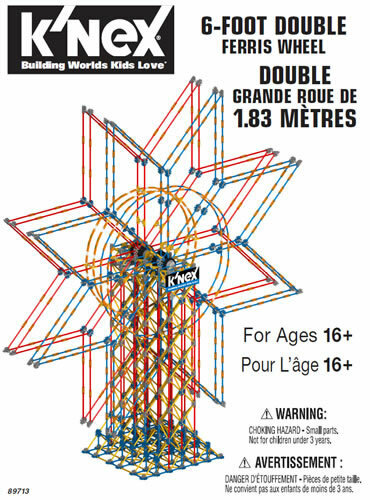 We also include in Hint R1 some information about building the ever-popular K'NEX Ball coasters.